Leeds Playhouse will open its autumn season with a bang, presenting Jim Cartwright’s seminal play Road. Grab your coat, grab your bag and join us to roll in the gutter and dance under the glitter ball. Stumble along the streets, into living rooms and over the cobbles of the lives and loves of the bold, browbeaten and brave residents of a Northern Street with drunken tour guide Scullery. 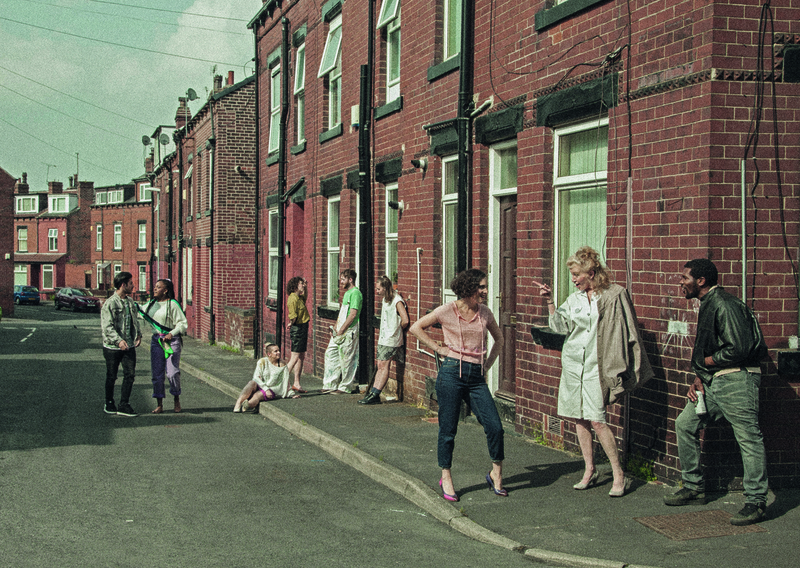 Directed by Leeds Playhouse Associate Director Amy Leach (Romeo & Juliet, Leeds Playhouse), Road is the first production in the Playhouse’s Pop-Up season, a year-long programme of work hosted in a unique temporary 350 seat theatre on the Playhouse’s current site. Set on a forgotten Northern Street through one raucous night, Cartwright’s powerful and poignant observation of the everyday lives of working class residents explores a time of intense poverty and austerity measures. Originally performed at the Royal Court in 1986 with Edward Tudor-Pole as Scullery, the production later transferred to television with the likes of Jane Horrocks, David Thewlis and Lesley Sharp taking leading roles. Leeds Playhouse Associate Director Amy Leach said: “Road is an extraordinary play that I have loved from a young age. Jim Cartwright has such an observant, poetic way of writing, and this play was, and remains, ground-breaking in its highly theatrical form and it’s celebration of the Northern voice and spirit. 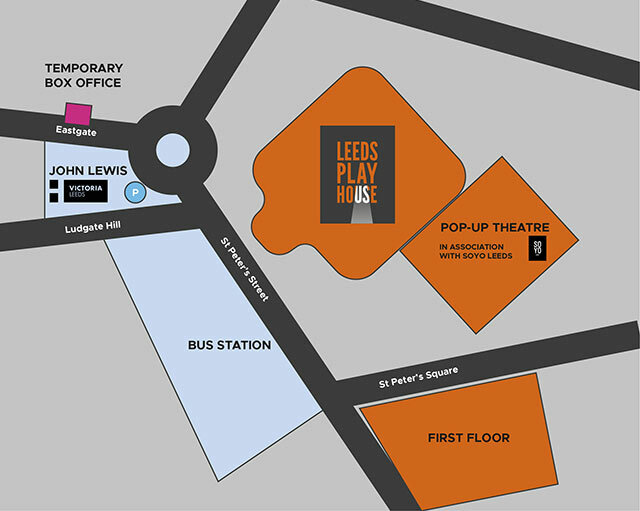 Throughout the Pop-Up season, a company of ten actors will join Leeds Playhouse as the Leeds Playhouse Ensemble company. Throughout the Pop-Up season the company will perform each production in rep.
Nine of the ten actors will make their ensemble company debut in Road, the first of seven productions they will all star in. Joe Alessi will take the role of Scullery (Fatherland, Frantic Assembly and Lyric Hammersmith), joined by Lladel Bryant as DJ Bisto (Carnival Chronicles, Leeds West Indian Carnival Committee, Shed Crew, Red Ladder); Darren Kuppan as Brink and Skin Lad (Hard Times, Northern Broadsides, Partition, Leeds Playhouse/BBC Radio Leeds); Jo Mousley as Valerie (Relatively Speaking, Oldham Coliseum/Harrogate Theatre, Two, Derby Theatre) and Dan Parr as Joey and Eddie (Road, Royal Court, Romeo & Juliet, Leeds Playhouse). Tessa Parr will play Clare and Louise (B!rth, Royal Exchange, Romeo & Juliet, Leeds Playhouse); Robert Pickavance plays Prof and Jerry (All’s Well That Ends Well, Shakespeare’s Globe, (the fall of) The Master Builder, Leeds Playhouse); Susan Twist plays Molly (Tenant of Wildfell Hall, Bolton Octagon/York Theatre Royal, Gaslight, Oldham Coliseum); and Elexi Walker plays Carol (A Pacifists Guide to the War on Cancer, Complicité, Romeo & Juliet, Leeds Playhouse). Road is designed by Hayley Grindle (Romeo & Juliet, Leeds Playhouse; Iphigenia In Splott, Sherman Cymru, Edinburgh, National Theatre, 59E59 New York); with lighting design by Paul Lovett and sound design by Mark Melville. All performances of Road will feature fully integrated Audio Description, performed live by members of the cast.